Even though I hate halloween I really do enjoy dressing up. 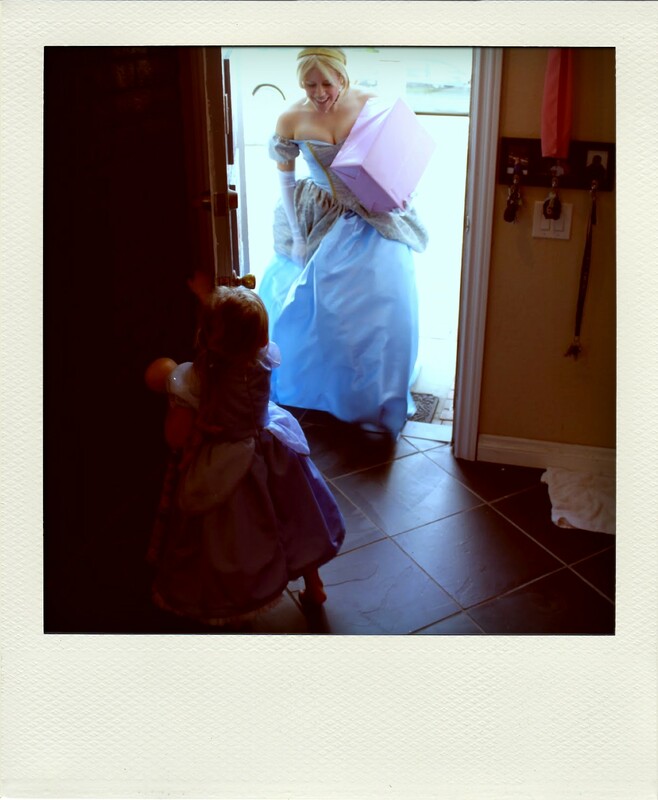 So when my cousin Hannah asked me to dress up as Cinderella for her friend Sommer’s daughter Lana’s 4th birthday I quickly accepted. I mean I had nothing better to do that day so why not fulfill a little girl’s fantasy! As the day came closer I grew a bit more apprehensive. How does Cinderella speak? What does Cinderella say? What if the kids ask me a question and I can’t answer? How long do I actually have to stay in character? This is SCARIER than I thought! So the day of the party arrived. I showed up around three and started to get ready with Hannah and Sommer. I must admit, getting ready for my “appearance” felt a lot like what I imagine getting ready for your wedding day would be like: a little champagne and lots of people helping you with EVERYTHING. It was so much FUN! I truly felt like a princess. A feeling I never thought I’d like. First was hair and make up. 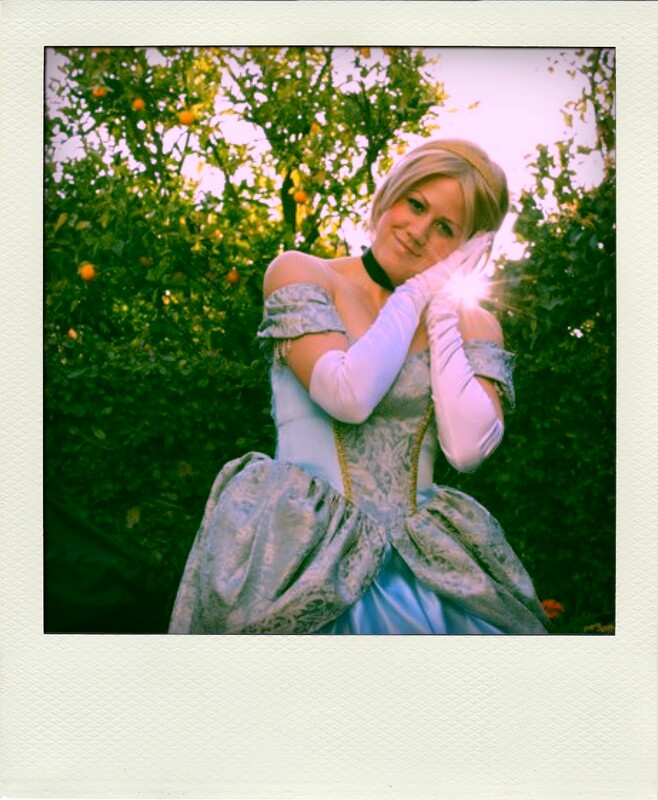 Since I had brown hair and Cinderella is a blond, Sommer let me use her blond wig. 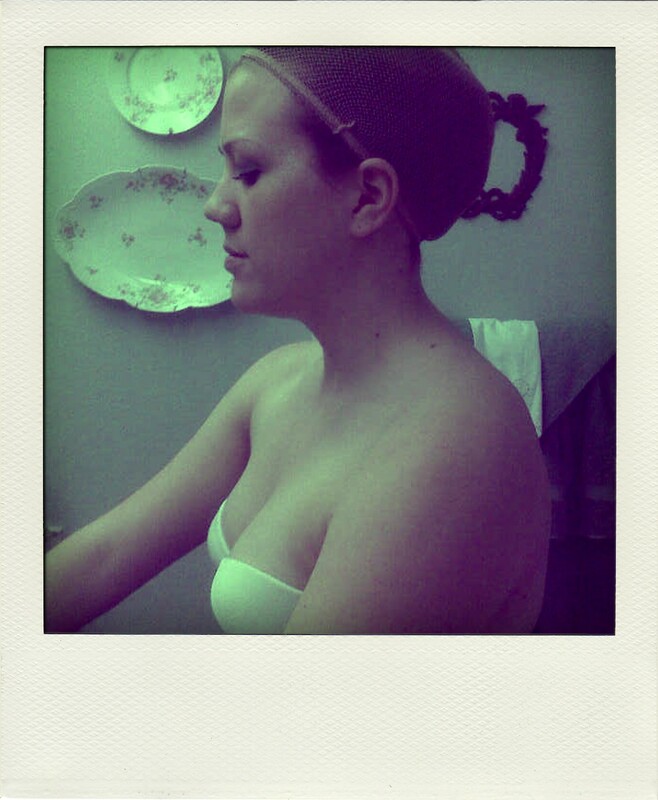 Once I put that bad boy on I REALLY felt like Cinderella. 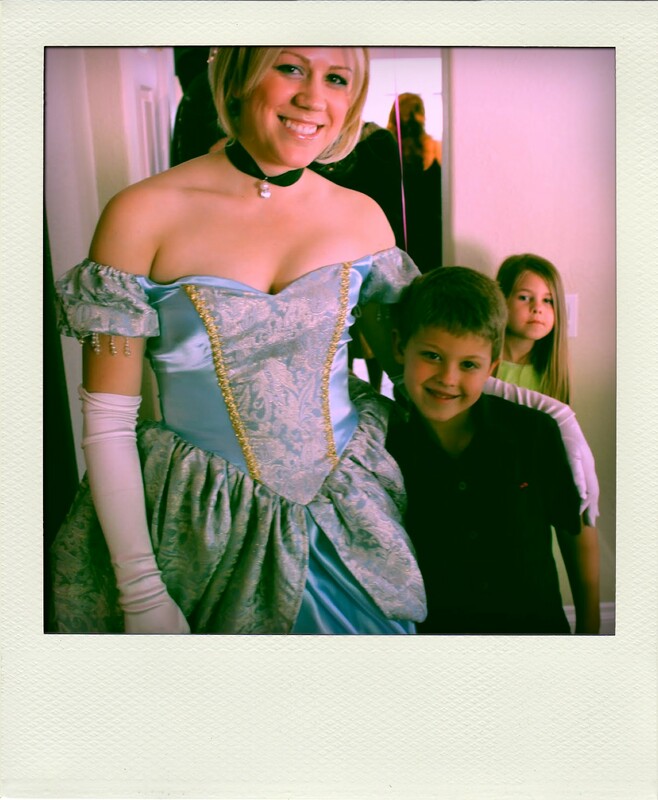 Then I put on the dress, choker, gloves, and the best part… the hoop skirt underneath! Now I was without a doubt Cinderella! At that point something inside me click and I transformed into Cinderella. I was no longer worried about what to say, or how to act because I was Cinderella! Giving the birthday girl her present. I finally made my grand entrance and I’m pretty sure all of the kids pooped their pants out of excitement! Most of them just stared because they were too nervous to even talk to me. It was freakin’ adorable. 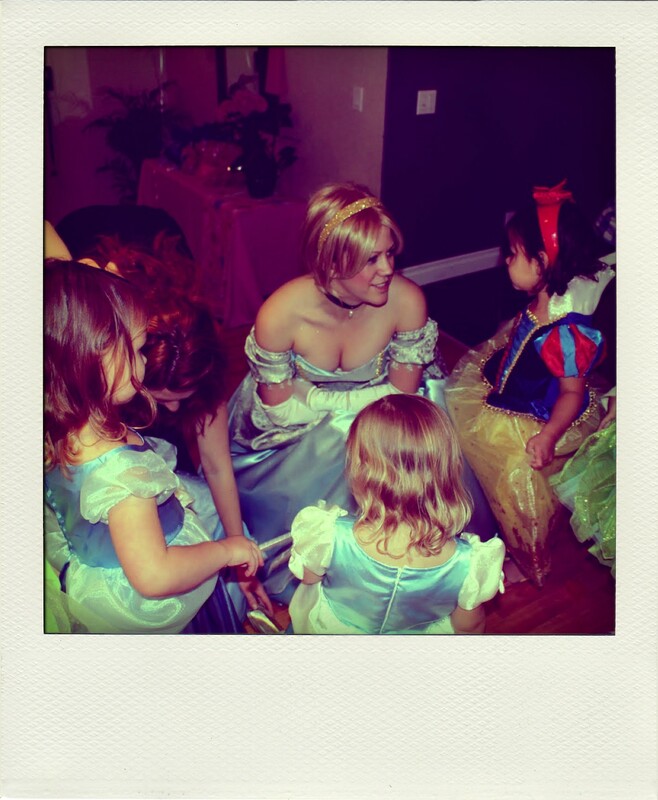 They were like OMG IT’S CINDERELLA! Eventually the kids warmed up to me and suddenly all of them wanted to talk to me or play with me. Snow white even tried to set me up with her dad! This boy had a crush on Cinderella. This boy didn’t even try and hide his feelings. He tried to hold my hand a few times and then he asked me to stay for the pinata! I ended up having so much fun! 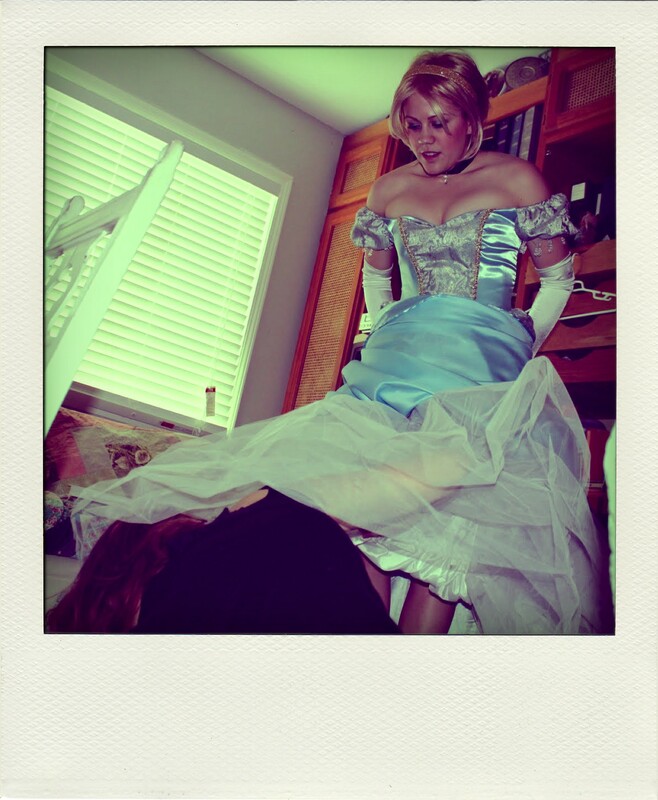 So if you need to hire a cinderella for your next party. CALL ME!